A week ago, Guardians of the Galaxy was released and the world loved the movie. One of the specific things that they loved about the film was the great soundtrack. Composed of great hits from the 80s and 90s, the soundtrack, appropriately titled Awesome Mix Tape Vol. 1, is doing incredibly well on Billboard. I was one of the people that was amazed by the soundtrack and, immediately after watching the film on opening day, I went to the nearest music store (which happens to be Odyssey) to get it. Unfortunately, they didn’t have it yet. Okay, that’s odd. I was expecting them to have it in stock since the trailer actually made one of the songs (Hooked on a Feeling) one of the most downloaded songs on iTunes. Oh well. Maybe they have another album I was interested in. That album would be “Weird Al” Yankovik’s Mandatory Fun, which exploded into the Billboard charts at Number 1. This was his first number one album ever and I was glad since I’ve been a huge “Weird Al” fan since I was a young kid. And I was only too happy to be forking over my money to support him. Nope! I then went to Astrovision… maybe they had those two CDs I wanted. No such luck. They didn’t have it either! Or, at least, they weren’t familiar with the singer. Most music stores here in the Philippines never carried any of Weird Al’s albums. At the least, his albums were incredibly hard to find. 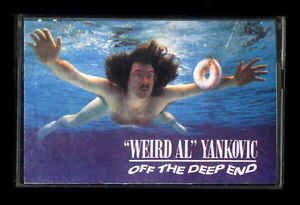 I remembered when I was in high school, I asked one of the people of Astrovision (yes, I specifically remembered it was Astrovision) if they had Weird Al Yankovic’s Off The Deep End. I vividly remembered the girl looking at me in a strange way.. like I was trying to make a fool of her or something. So I asked her something else to help her identify the album. It was the album that had You Don’t Love Me Anymore, which was a big hit on the radio at the time. She knew the song but she didn’t know who the singer was. You know where she went? She went to the love ballad part of the store to look for the album! I knew I wouldn’t find it there so I went to the pop section of the store and, after some digging, I managed to find it. No thanks to the store personnel. I have this in cassette form. CDs were so futuristic (and expensive) then! Anyway, fast forward to the present, I still have the same issue… which is crazy, especially if you consider that Weird Al’s career has spanned almost 40 years! I mean, I’m as old as Weird Al’s career! You would expect more people to recognize him! Well, I guess he does get the proper adulation in the United States. But, here in the Philippines, he doesn’t. I guess the problem is he’s not a mainstream artist and the only kinds of songs they blare out on the most popular radio stations are the mainstream hits or classic songs. There are a couple of radio stations here and there that do focus on alternative hits and those are the stations I tune in when I’m driving around. I did ask the people at Astrovision and Odyssey why they didn’t carry them, especially since these two albums are pretty big hits in the United States. While most of them couldn’t give an explanation, one of them did give a plausible reason: licensing. It turns out they aren’t able to get them because the local record distributors don’t have the proper licensing in the area. Now, while this is a fairly reasonable justification… it’s still an incredibly dumb reason which hurts the profitability of local stores! You see, if regular people can’t find the album that they want in the stores, you know what they’ll do? They’ll go out and download the song, either through legitimate or illegitimate means! As much as I would want to get the two aforementioned albums in CD form, I can’t just go out and buy it at my local music store. No, I’ll have to order it from the Internet and have it delivered! Who does that hurt? The stores! 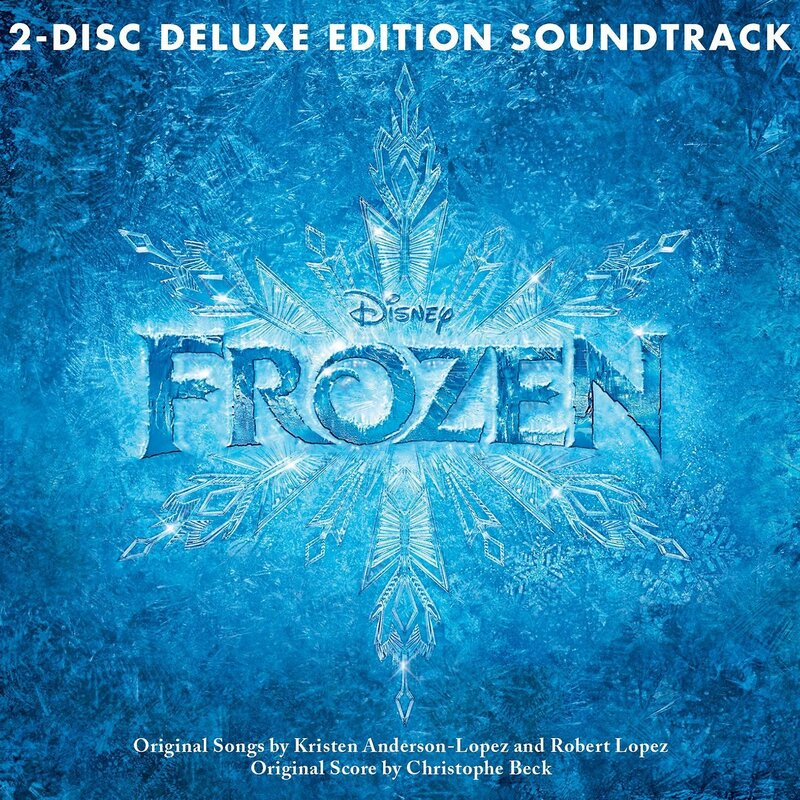 You know when the Frozen soundtrack, one of the most popular soundtracks ever because of that damn Let It Go song, to be released in the Philippines? It was released around April, a full four months after the film was released! And, to add insult to injury, it was right smack in the middle of the summer season here! How can you think of Frozen during the searing heat of one of the warmest months of the country? I still think sales of the soundtrack did fairly well over here since it’s more than a soundtrack; it’s a global phenomenon. But imagine if it was released during the same time as when the actual movie was being shown in theaters! Record stores here would’ve sold them out in seconds. Instead, record stores here are overstocked with the albums of One Direction, various K-Pop artists, local balladeers and compilation CDs. And none of those albums interests me at the least. So why don’t I just download the albums off the Internet? Yes, I could. But I’m the sort of guys that wants their own personal CD. I still love having those plastic discs, stacking up the jewel cases in my own way and opening up the paper inserts. Besides, I also want to help the local stores that even bother importing these things. Mail order is fine and all but I want to be able to go to a physical store and holding something in my hand before purchasing it. So, local music industry, I implore you to clean up your act. You keep on complaining about piracy wrecking your sales but you’re also part of the problem. If you want to stop piracy, make things easier for us to buy in stores. What’s your take on the music industry? Whatever it is, leave your thoughts in the comments section below! Agreed, want to stop piracy, make things as accessible and available as they are through, well, piracy. I LOVED the Guardians soundtrack – I had no idea Hooked on a Feeling went so high up on iTunes! Good for them.